I decided to give mom a break from the kitchen, so instead of her making sausages, toast, pancakes, etc., I went to BK and got us all sausage & egg croissants. 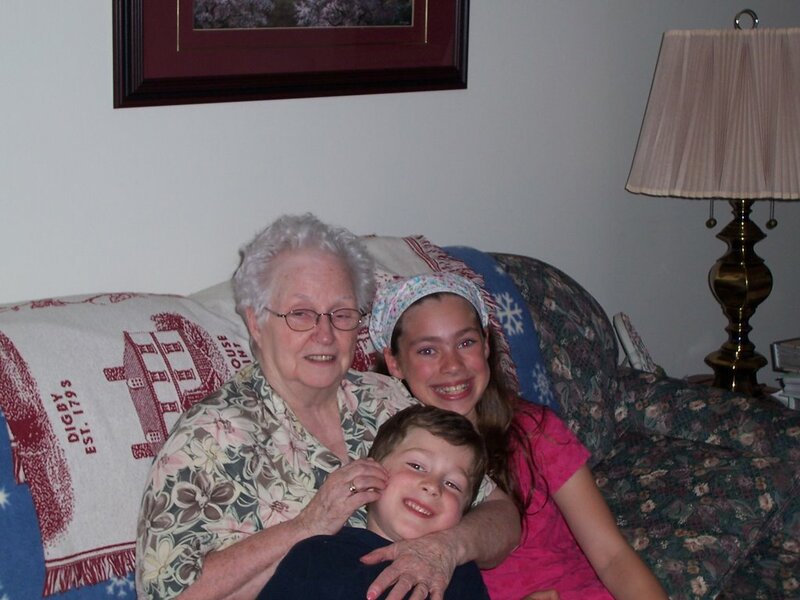 Then we went to visit Grammie Pineo for 2 hours. She and the kids had a ball playing crazy 8's. And we looked at lots of old photos.